To carpet or not to carpet; that is the question. Carpet in the bedroom and basement, tiles in the bathroom and kitchen, and hardwood in the living room and dining room. Sound familiar? 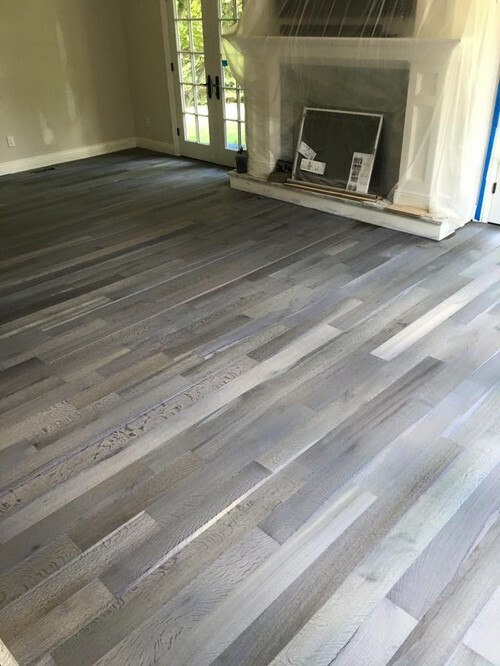 If your home is a little more dated, you’ll likely find that each room in your home features a different type of flooring. Though you may have completed various home improvement projects over the years, your flooring may be in need of a refresh. Wondering what kind of flooring is going to stand the test of time? Here’s what this years’ flooring trends tell us. 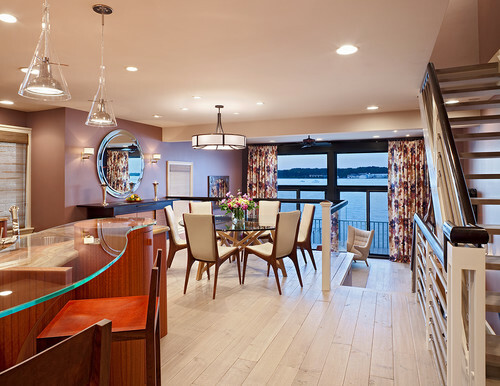 Fumed wood flooring is a type of flooring that goes through a process called fuming. This process gives the wood a colour-changing effect through the use of airborne ammonia. The final patina achieved depends on so many different factors. Fortunately, this means each piece of wood is completely unique. This type of wood flooring is absolutely gorgeous, especially the stronger the colour and grain. If you plan on using this flooring, it looks great in any room, especially the kitchen. On the opposite end of the spectrum is bleached wood flooring. 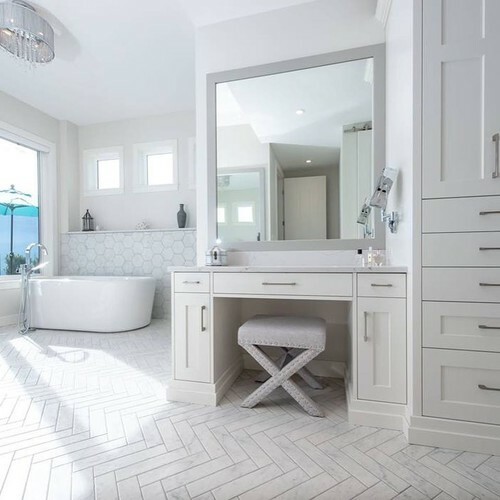 The softer, white-washed look of bleached and/or blanched flooring is more muted and works well in all rooms of the home. It’s especially popular in living rooms where there tends to be more furniture and decorations, and it looks good in rooms featuring seaside or country aesthetic preferences. Another popular trend making waves in the house remodelling scene is wood flooring laid out in interesting patterns. 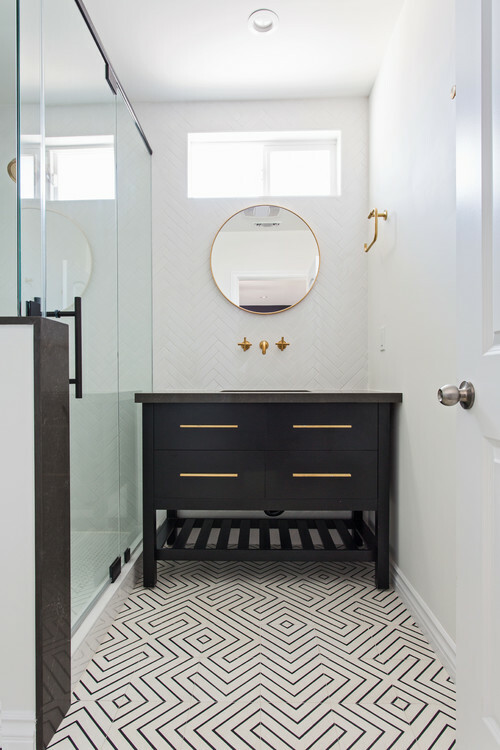 Herringbone and chevron patterns are easily the two most popular patterns, but feel free to let your creativity shine here. These patterns look great in kitchens, dining rooms, and bathrooms, but they can really be featured in any room of the home. This trend has been popular for the last couple of years, and we don’t see it slowing down any time soon. In fact, many homeowners are even incorporating this look on feature walls. 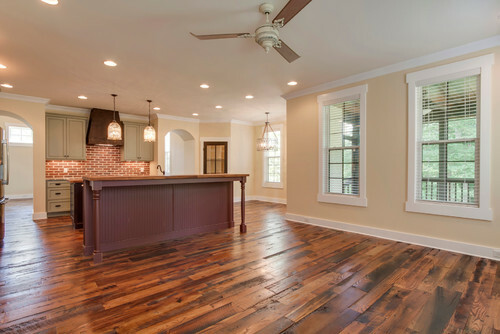 If you’re looking for a warm, rustic look, reclaimed barn wood flooring is the way to go. If you’re a die-hard tile fan, this look is also available in tile form as well. A busy floor isn’t for everyone, but when done well, it can make a room look fabulous. If you love unique and playful tiles, the sky’s the limit here. Instead of doing all of the rooms in your home in patterned tile though, you’ll want to just pick one. It’ll be more impactful. Although carpet hasn’t made it on the trendy list, don’t worry. If you love the warmth and comfort carpet flooring provides, it’s still a popular flooring option for homeowners. Because you can choose from thousands or carpet styles and colours, it’s easy to customize your carpet flooring to your taste. Ask your home renovation contractors which variety works best for your lifestyle. Looking for more ways to make your home as trendy as possible? Read our previous post: House Improvements & This Year’s Pantone Colour of the Year. In need of renovation services? Consider Rafter 4K Contracting. Our team of friendly and knowledgeable professionals will work with you every step of the way to ensure your house remodelling projects are completed to your exact specifications. Contact us today for a free expert consultation.